Every semester, <a href="http://itp.nyu.edu">New York University’s Interactive Telecommunications Program</a> (ITP) holds a show celebrating its students' creativity by showing off their final projects. 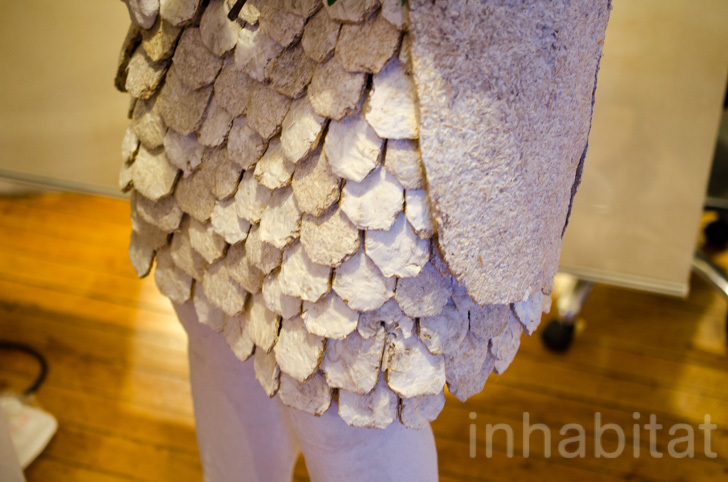 Inhabitat got to check out the exhibit last week to peruse all of the designs, which combine technology, <a href="https://inhabitat.com/tag/sustainable-materials/">sustainable materials</a> and the kind of refreshing ingenuity only seen in student shows. 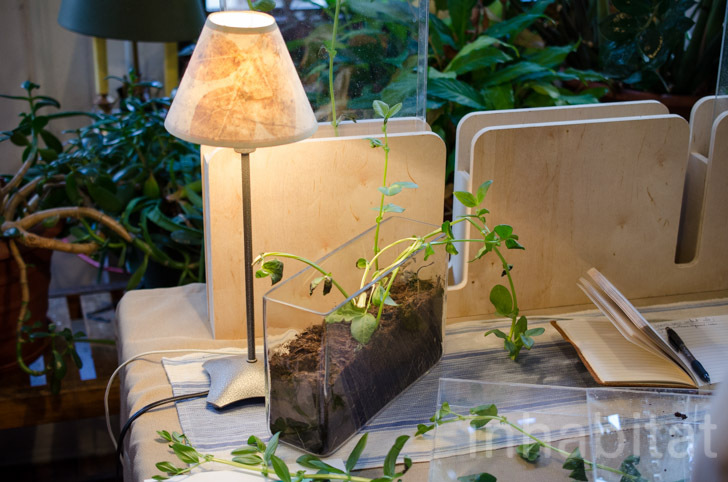 Read on for six of our favorite design projects seen at the show! Chic couture meets sheet couture. 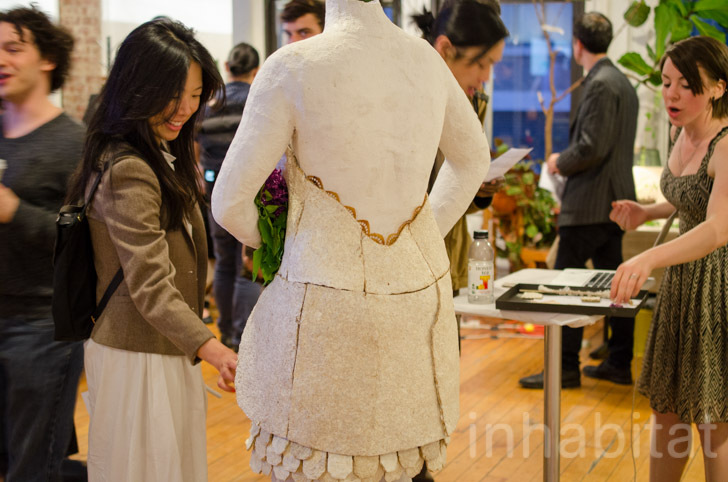 Erin Smith’s <a href="http://www.growablegowns.com/">Growable Gown</a> is an elegant take on <a href="https://inhabitat.com/3d-printed-wearable-planters-let-you-take-plants-with-you-everywhere-you-go/">wearable plant matter</a> to create a wedding dress. 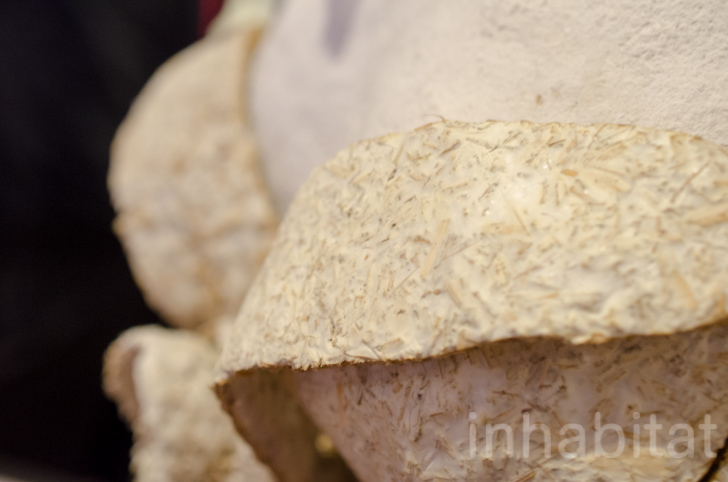 Using a mix of tree mulch inoculated with mycelium (microscopic mushrooms), these living sheets of fabric can create a new dress in literally a week. Smith explains that as most brides buy a wedding dress only to wear it once in their lifetime and lock it away in a closet for the next 60 years, why not buy one that's biodegradable. On top of helping to reduce the amount of linen waste in the world, Smith says <a href="https://inhabitat.com/bamboozled-by-bamboo-rayon-we-arent-so-sure/">growable clothes</a> are also fairly easy to make requiring only a short time to grow, mold into shape, and then bake to stop the fungus from growing. While world is going nuts over 3D printing, Sanniti Pimpley sees <a href="https://inhabitat.com/zuta-labs-unveils-worlds-first-pocketable-mini-printer/">2D printing still has some legs</a> on it and to help the technology along she’s developed a <a href="http://sanni-t.com/printo-bot.html">PrintO-Bot</a>. 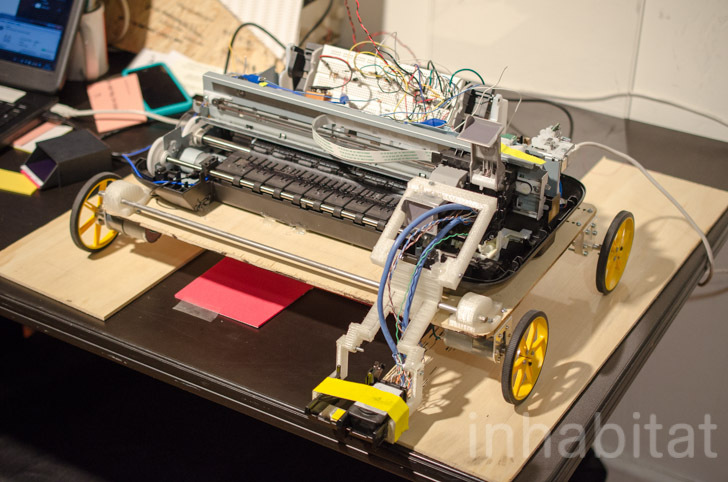 It’s essentially an inkjet printer that has been hacked and put on wheels allowing it to print on virtually any flat service. This includes wood, metal, foam, and regular old paper. The best thing is unlike regular printers it can print on a surface no matter how big it is because it does not need to roll through that restrictive paper tray. To make it all work Pimpley installed a secondary electronic board to trick the printer into thinking it was still pushing out paper and converted the energy put into the paper feeding roller to <a href="https://inhabitat.com/7th-grader-uses-lego-mindstorms-ev3-kit-to-build-a-working-braille-printer/">roll the wheels</a>. What’s more, Pimpley also extended the print head to help it reach and print just above any surface you throw at it. Otherwise the printer still operates as it normally does moving the head along its track as usual. 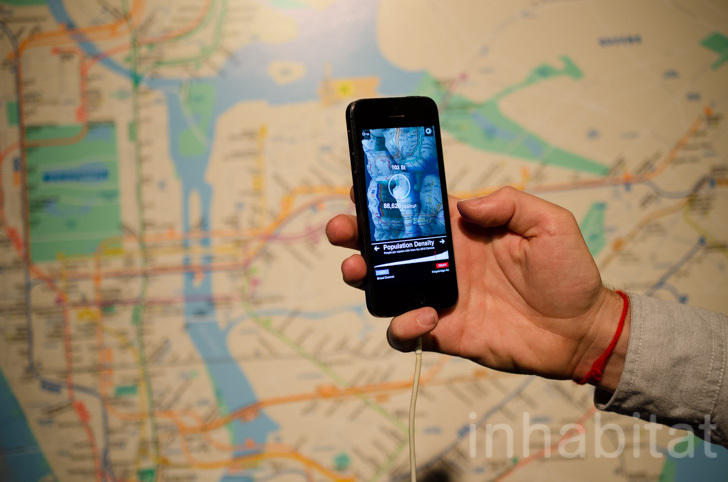 <a href="https://inhabitat.com/nyc/mta-introducing-app-that-lets-riders-purchase-paperless-tickets-from-their-smartphones/">Transportation apps</a> are dime a dozen in a metropolitan city like New York but perhaps the most useful and beautiful interface we’ve ever seen is Bill Lindmeier’s <a href="http://www.tunnelvisionapp.com/">Tunnel Vision app</a>. &gt;. 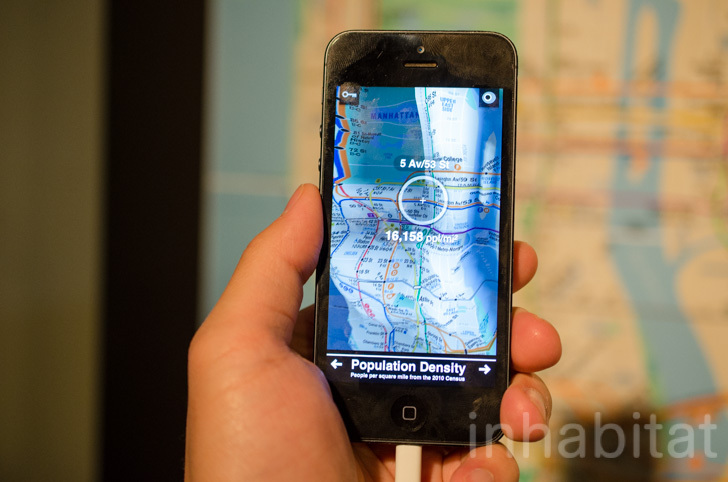 Using augmented reality technology, Tunnel Vision iOS app can turn any regular subway map into an interactive experience.
. 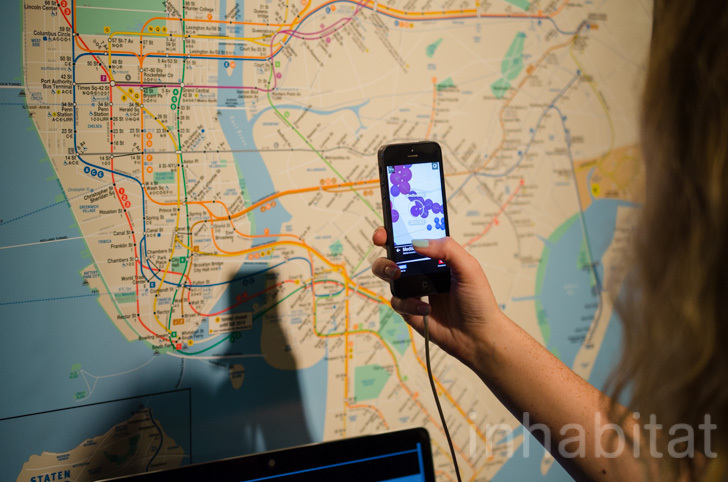 It has a handful of animations showing all the subway routes running through out the city to a map view of New York that bulges with population density. The app works amazingly fast and we definitely recommend downloading and checking out <a href="https://itunes.apple.com/us/app/tunnel-vision-nyc/id867860522?ls=1&amp;mt=8">this free app</a>. 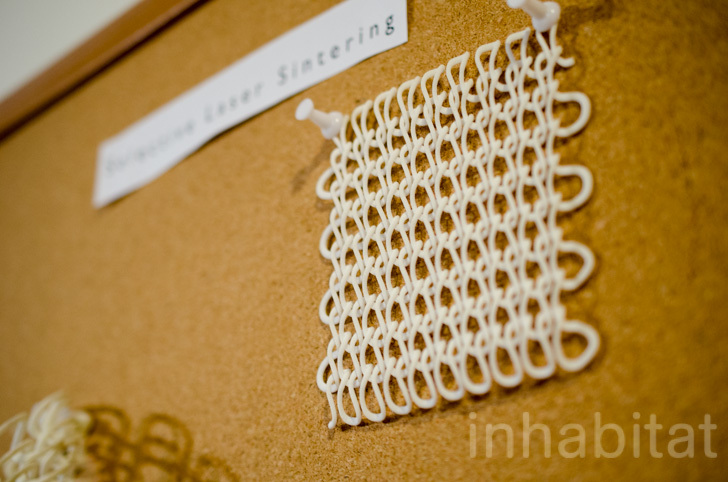 We’ve seen plenty of <a href="https://inhabitat.com/makerbots-3d-printed-flexible-filament-dress-wows-ny-fashion-week-audience/">3D printed dresses</a> but did you know there’s more than one type of extruded fabric? 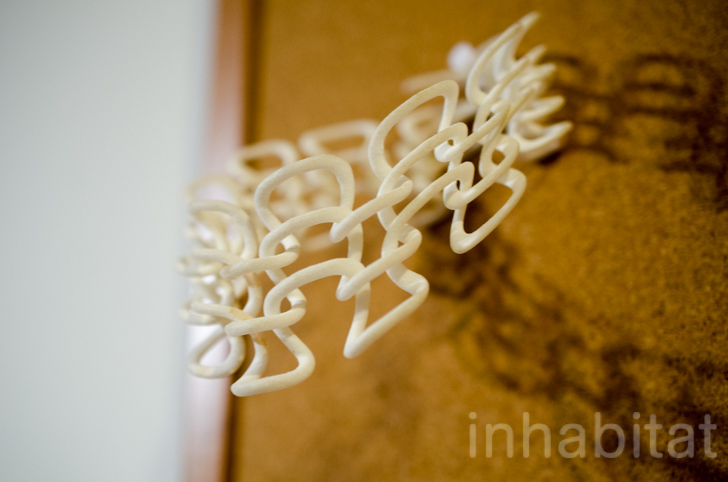 <a href="http://itp.nyu.edu/shows/spring2014/3d-printed-textiles/">Pamela Liou</a> laid out her spread of different 3D printed textiles. 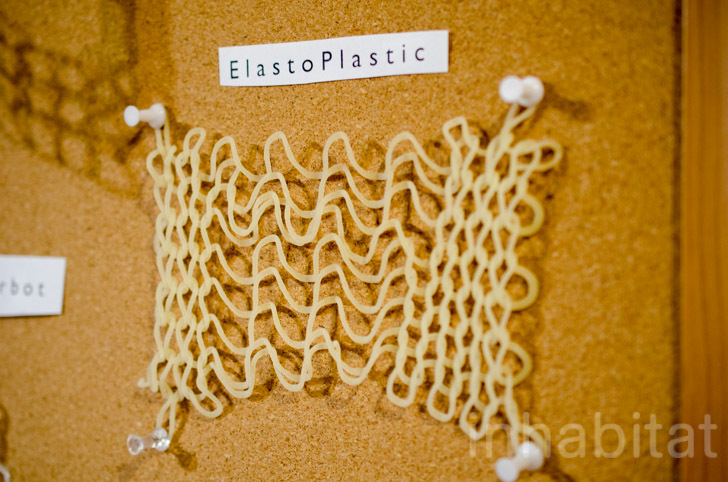 These included the rigid plastic we’ve come to know with all 3D printed objects, <a href="https://inhabitat.com/shapeways-debuts-a-new-flexible-3d-printing-material/">elastoplastic</a> which is stretchy like Spandex, Makerbot’s clear PLA material for fashionable see through clothing, and lastly a laser sintered string of delicately linked strings. Beyond making clothes, Liou believes these 3D printed textiles can also be used for other applications including automotive, medical, and in architectural design. Of course materials are only half the equation when it comes to designing an object. To demonstrate what a few combinations of simple shapes can create complex and beautiful objects <a href="http://wynaliu.tumblr.com/">Wyna Liu</a> created a Fluid Geometry collection. While Liu admits she isn’t really creating anything new with her wooden sculptures, they're still interesting to look and poke at.. 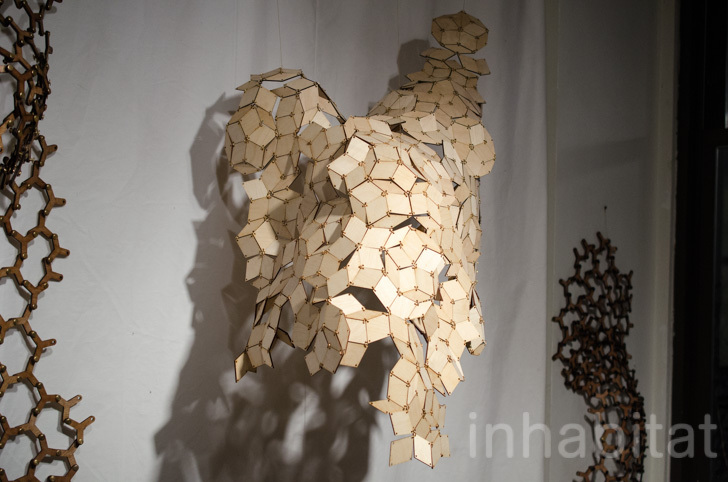 Her main creation uses an established <a href="https://inhabitat.com/3d-printing-technology-creates-complex-legal-issues-expert-warns/">penrose shape</a>—which combines a star with a few diamonds to create a solid circle—it’s still a lovely design that lets you prod the art into shape and it will hold its form. While creating her penrose sculpture, Liu also discovered she could create an object using just the metal rings clasping together her work. 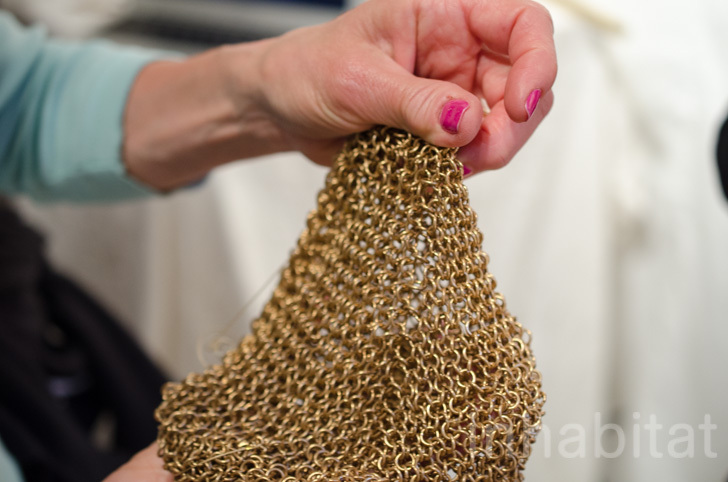 The result was a tightly knit cube of chainmail that can be stretched into all sorts of interesting shapes. In one last amazing project, Erika Hansen Miller is trying to lower the planet's carbon levels with her <a href="http://www.soilfortheair.org/">Soil for Air</a> project. It might look like a fancy home gardening setup but there's a research project at the heart of these clear planters. 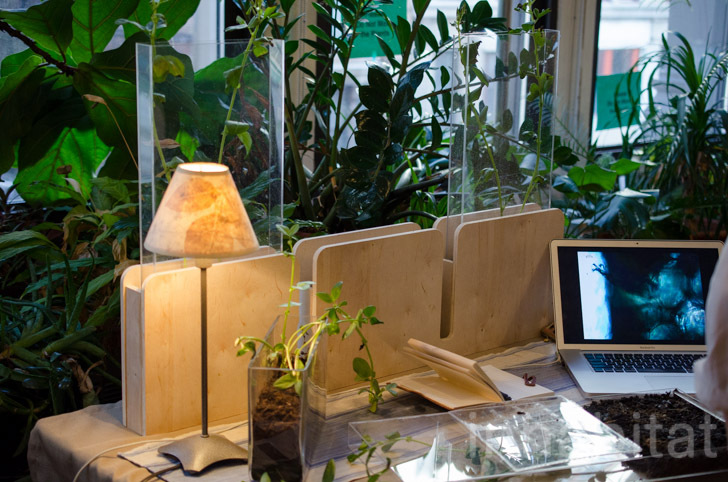 The plants however aren't the key to <a href="https://inhabitat.com/klaus-lackners-artificial-trees-soak-up-co2-emissions-faster-than-plants/">reducing Earth's carbon dioxide</a> but rather it’s a ectomycorrhiza fungus that's typically found in forests. 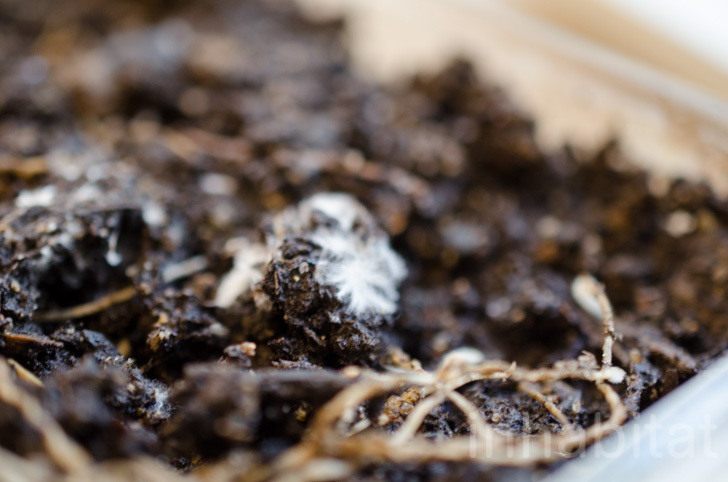 Soil for Air hopes to create the same soil conditions that will let these fungi take root in a domestic setting and eventually in farms. Thus far, Miller has been able to introduce the bacteria by infusing fava bean seeds with fungus. For her next step Miller hopes to start a small study group with five or seven people to see compare results and crowd-source her research. 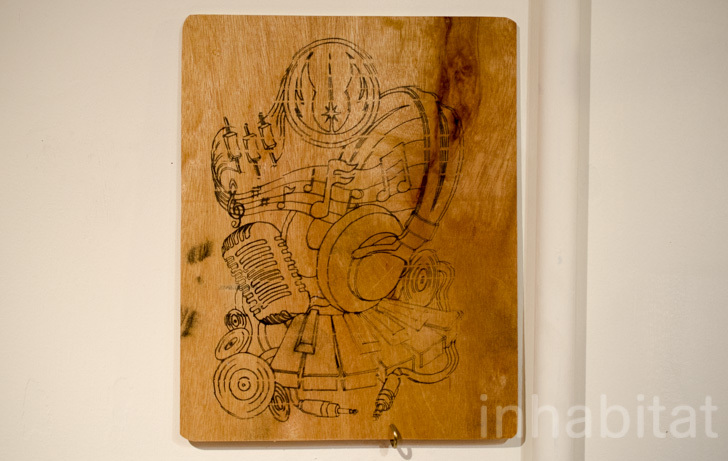 Every semester, New York University’s Interactive Telecommunications Program (ITP) holds a show celebrating its students' creativity by showing off their final projects. Inhabitat got to check out the exhibit last week to peruse all of the designs, which combine technology, sustainable materials and the kind of refreshing ingenuity only seen in student shows. Read on for six of our favorite design projects seen at the show!